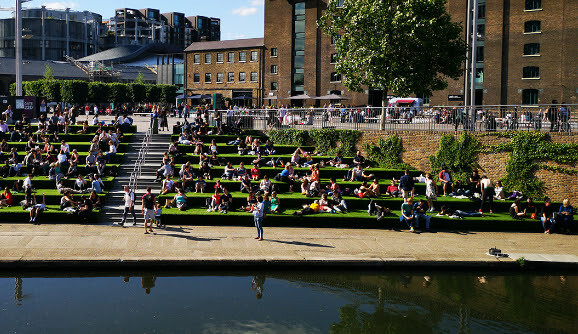 Join us for a presentation and walk around London’s King’s Cross development, a 67-acre site of rich history now 60% of the way through a regeneration programme that will take until 2023. We will meet Steven Kellett, Sustainability Manager at Argent, the long-term developer of the site, and Janet Sutherland, a former officer of the London Borough of Camden. Hear the views and approaches from both developer and local authority – from vision to masterplan to delivery. Meet at Argent, 4 Stable Street, N1C 4AB at 6pm for a presentation of the masterplan, followed by a 60-minute site tour to explore the area. Drinks to follow at a local pub (with drinks at your own expense).